This is an American-based chain that has about 40 drug stores across Hawaii State. CVS Caremark acquired Longs Drugs in 2008 and prior to that, it had more than 500 stores. The stores are mainly spread throughout the United States’ West Coast. The history of Longs Stores dates back to 1938 when the company was founded. The company’s first store was situated in California. 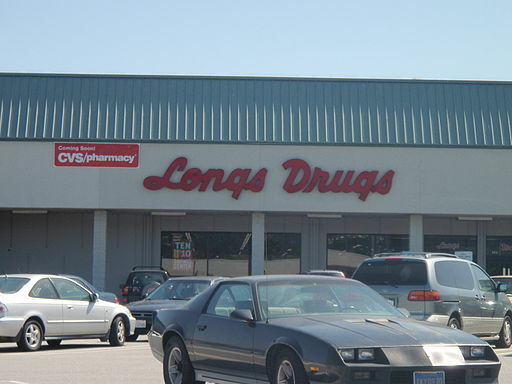 During its inception, it was given the name Longs Self-Service Drugs. The founders were two brothers, Joseph and Thomas Long. The brothers opened the first store in Oakland, California on Piedmont Avenue. The first Hawaii store was opened in March 1954, while the company’s first shopping center store opened in 1955. The company grew and expanded since its inception. In 1971, the annual sales amounted to 169 million dollars. The company shares were listed on NYSE under the symbol LDG. By 1982, the company had 162 stores and its sales amounted to more than one billion dollars. In August 2008, an announcement was made concerning of the plan for CVS Caremark to acquire Longs Drugs. CVS Caremark operates an American-based drug store chain, CVS/Pharmacy. To expand its presence on the West Coast, especially in California, CVS purchased 521 Longs locations. The acquisition also enabled the company to access the Hawaii market. The company’s entry to California was marked by the acquisition of Sav-On Drugs, based in Southern California, in the year 2006.